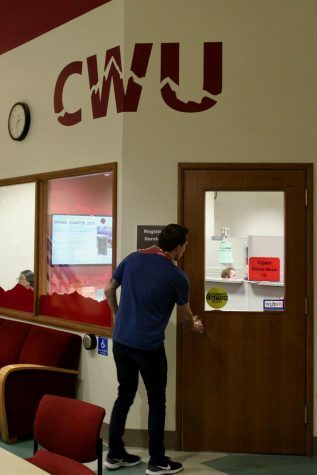 CWU Ellensburg classes were held as usual on Thursday, Feb. 7 in what the university said was an attempt to help students cope with the stress caused by the active shooter false alarm that locked down the campus the night before. 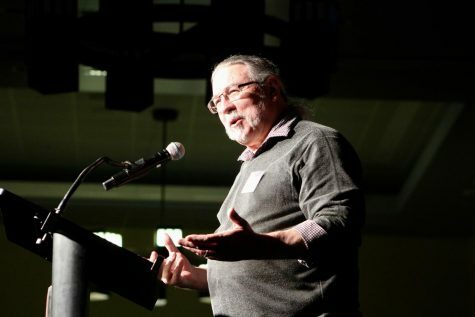 “I have found that it is better to be in the company of others, in our regular environments, than it is to be alone and isolated,” President James L. Gaudino wrote in his official statement issued on Feb. 7. Gaudino also said that although this was a false alarm, it was still a traumatic experience and that counselors are standing by for anyone who needs support. Some instructors decided to cancel class on Thursday. Others chose to not take attendance and gave students an opportunity to talk about what happened. 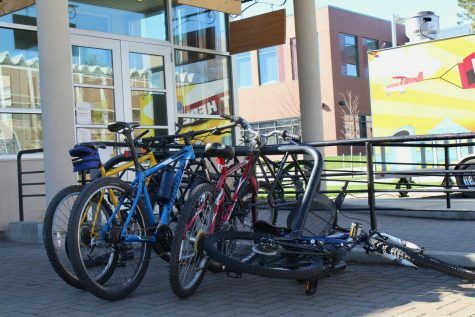 The Student Medical and Counseling Clinic had additional drop-in services available in the SURC on Thursday, according to the Dean of Student Success. 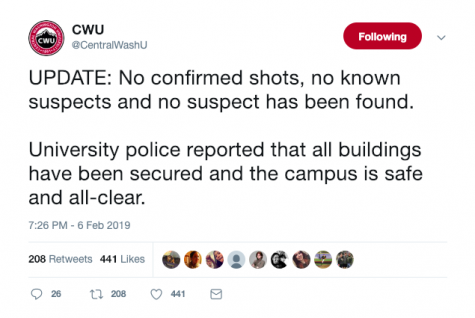 Students were told to stay away from campus for approximately two hours on Wednesday, Feb. 6 due to reports of an active shooter near Lind Hall. The building houses the Department of Communication on the first floor and CWU’s Army Reserve Officers’ Training Corps (ROTC) program on the second floor. An official alert was sent out via phone call, text and email advising everyone to avoid the area at 5:35 p.m., according to an official university statement released on Feb. 7. 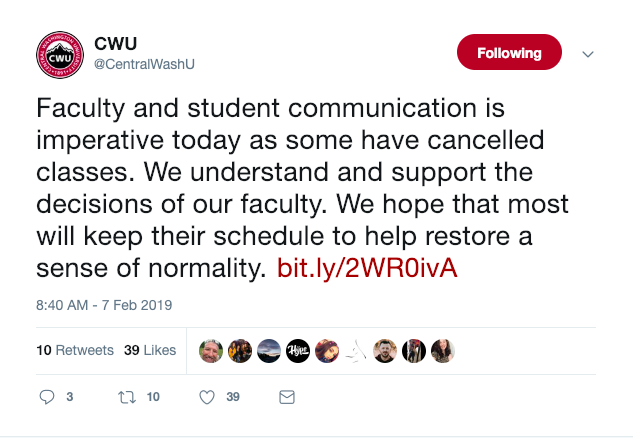 According to the same press release, CWU police were dispatched by the 911 service Kittcom at 5:23 p.m in response to reports of shots being fired. Students, faculty and staff who were in Lind were evacuated. They were informed of a threat of an active shooter prior to the official alert and began exiting the building around 5:15 p.m. Some left campus. 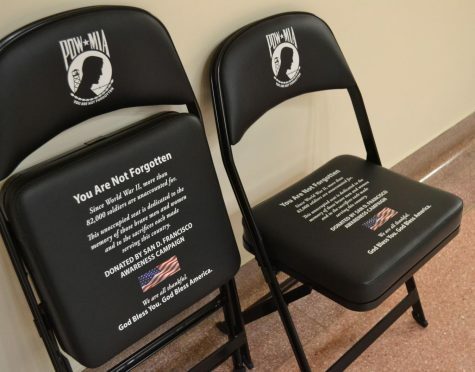 Others found shelter in the 1891 Bistro near Lind Hall and the Starbucks on E University Way, as did a group of about 40 students accompanied by a few ROTC and Communication Department instructors. Unsubstantiated reports then circulated of additional potential active shooters in the SURC and the Language & Literature (L&L) building. 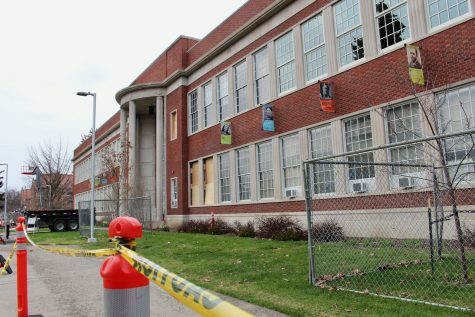 Students, faculty and staff who were in those buildings followed protocols and barricaded themselves in the nearest room. 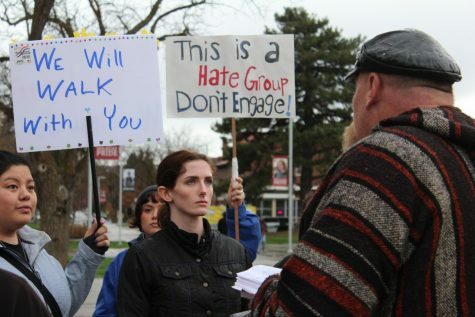 As information about what was happening spread, others throughout campus did the same. As police cleared the buildings, they were allowed to leave. 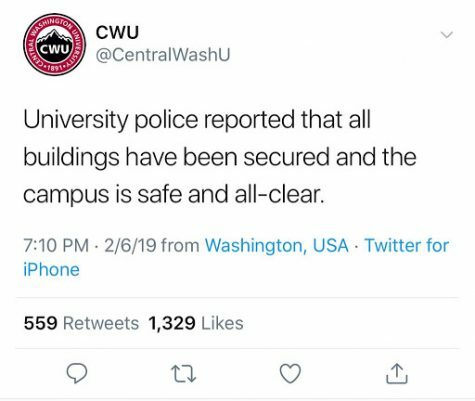 At 7:10 p.m., CWU’s official Twitter account posted that university police had secured all buildings and campus was safe. 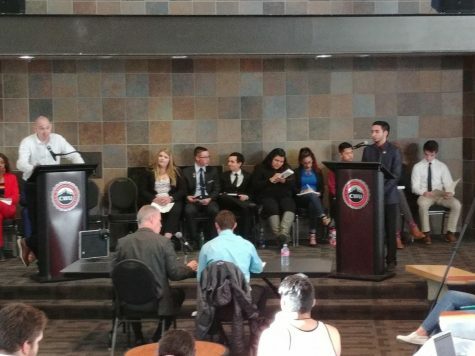 At 7:30 p.m., another phone call, text and email alert was sent out stating that campus police had searched the buildings and that campus was given the all-clear. No confirmed shots, suspects, or injuries were reported.